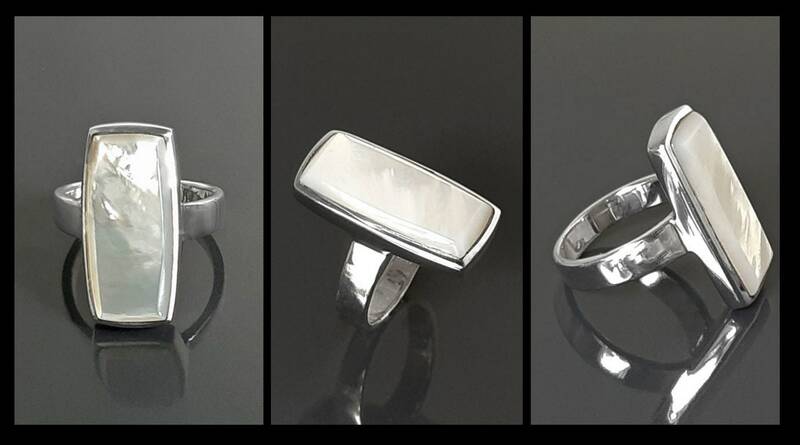 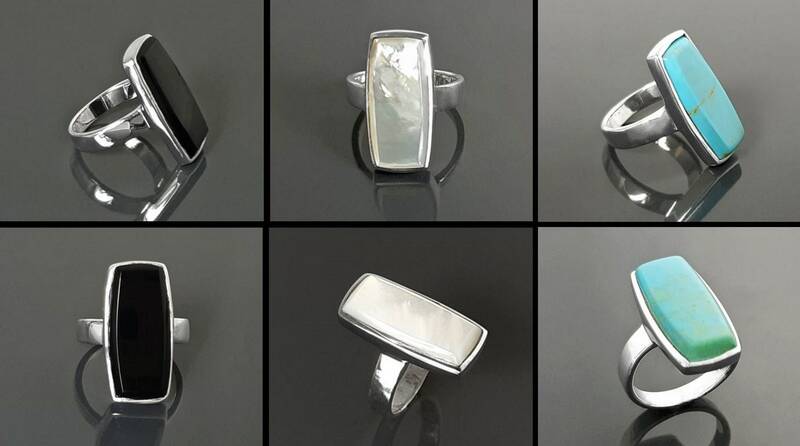 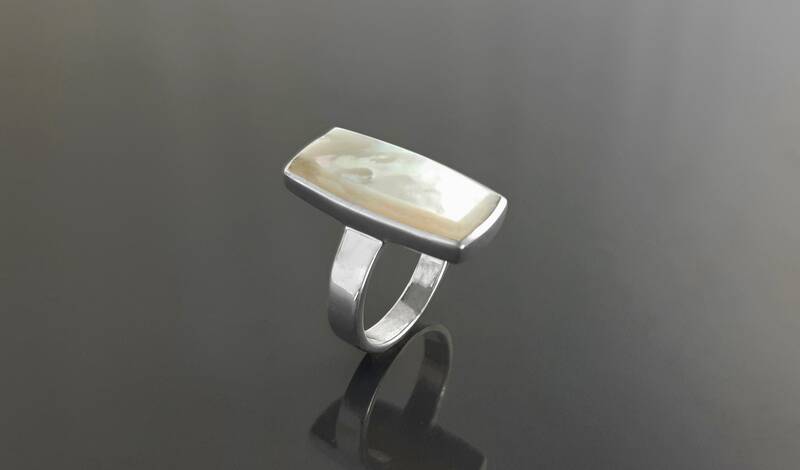 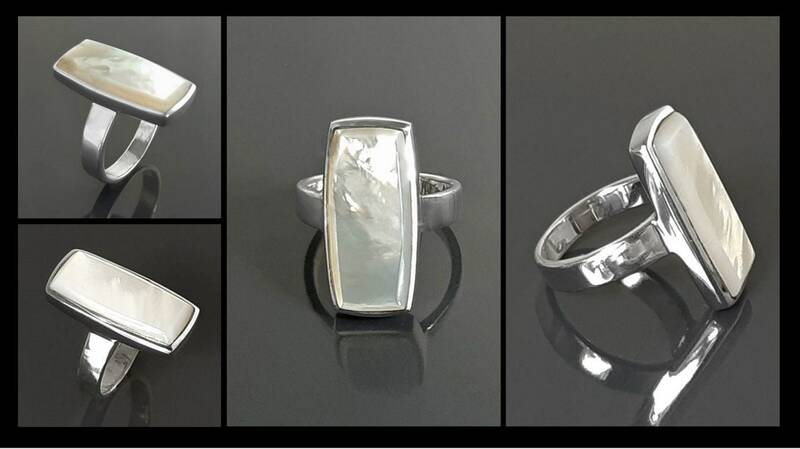 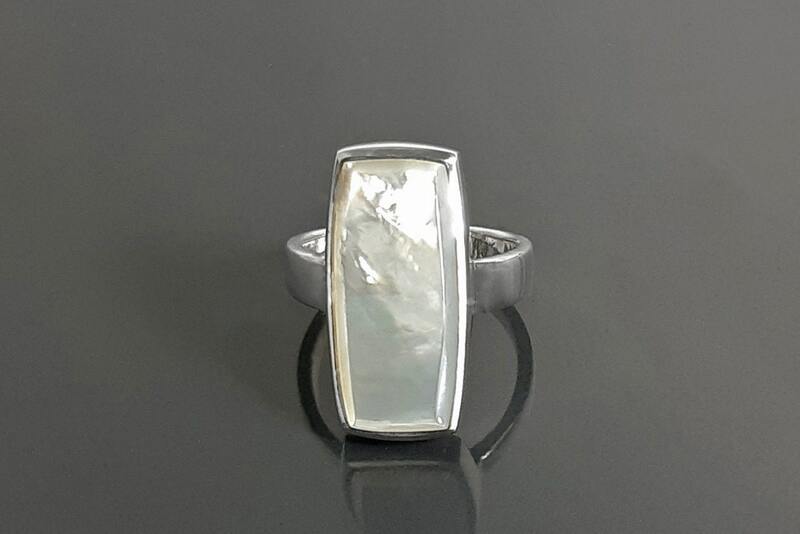 Simple and modern in design, this sterling silver statement ring is set with a rectangle mother-of-pearl. 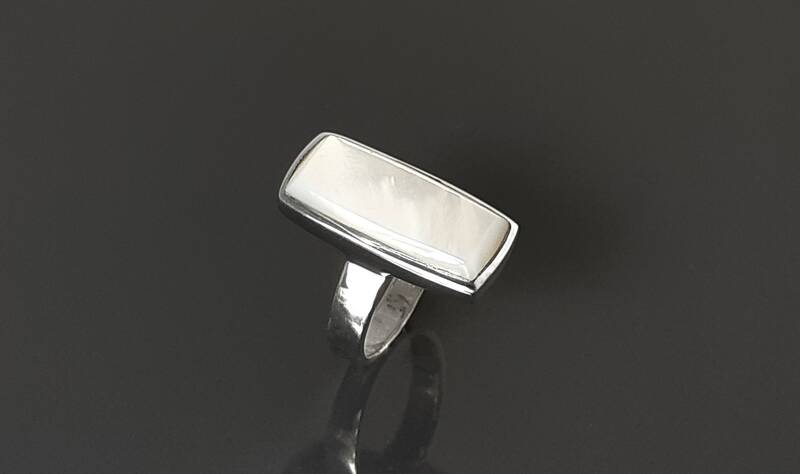 Ring features a 2.2 cm x 1.2 cm . 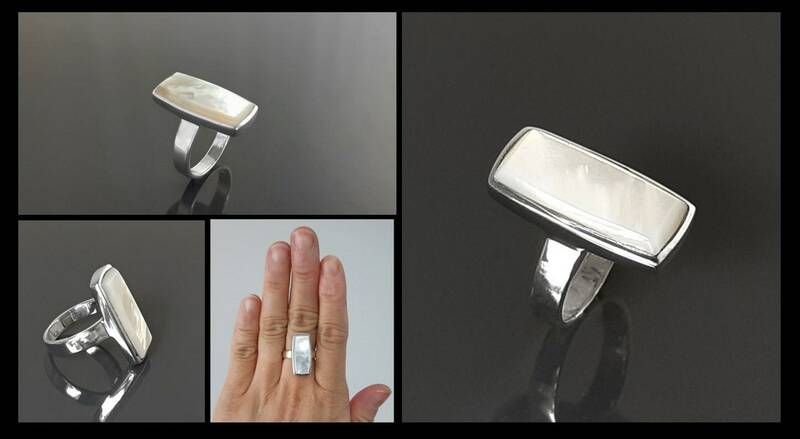 Average silver weight : 5.1 gr. 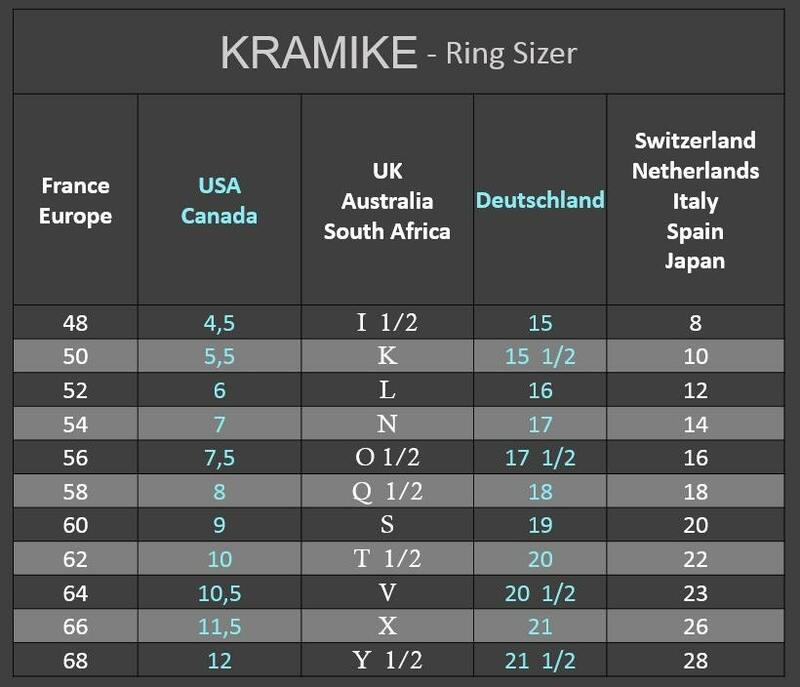 ► international shipping : we use French priority international shipping, 5-10 open days, tracking number and insurance included. 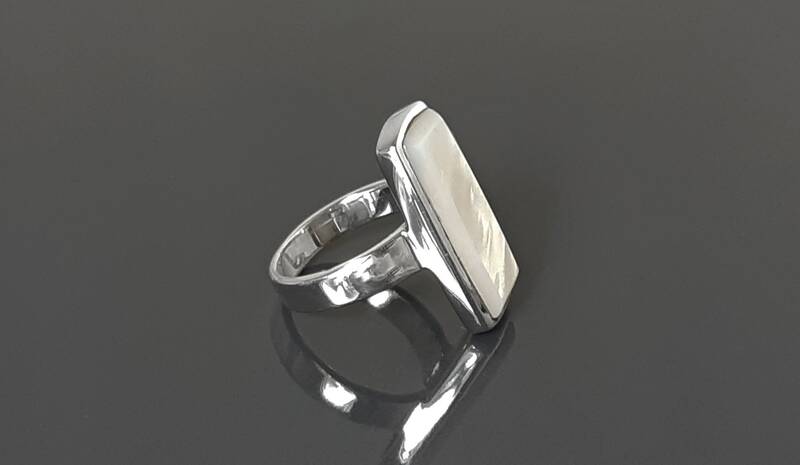 ► your ring will come in a beautiful ring case, ideal for gifts or just storing your jewelry safely. 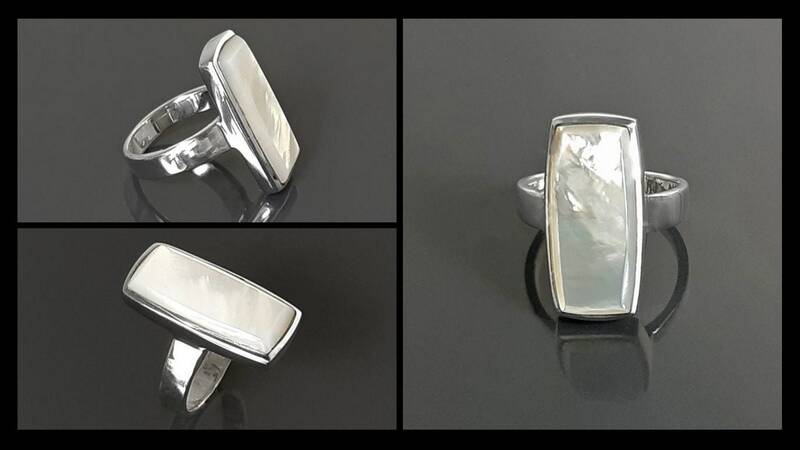 It will be posted in an extremely secure package to make sure its safe arrival at your door.